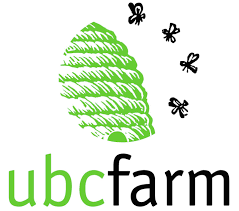 From 2011-2015, and again from 2017-2019, we distributed funds to school communities to support, initiate or expand food initiatives in Vancouver schools. 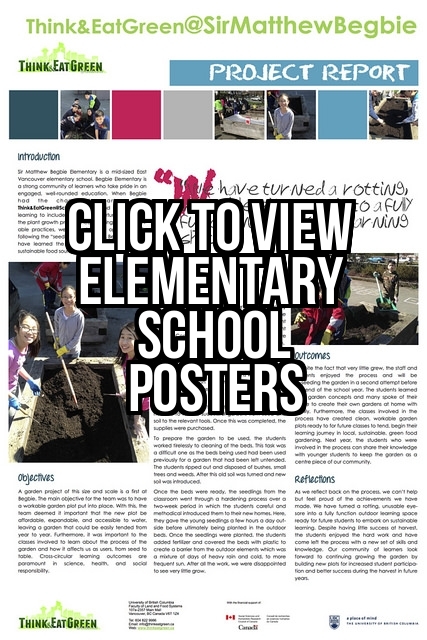 Posters from elementary school projects are available HERE. 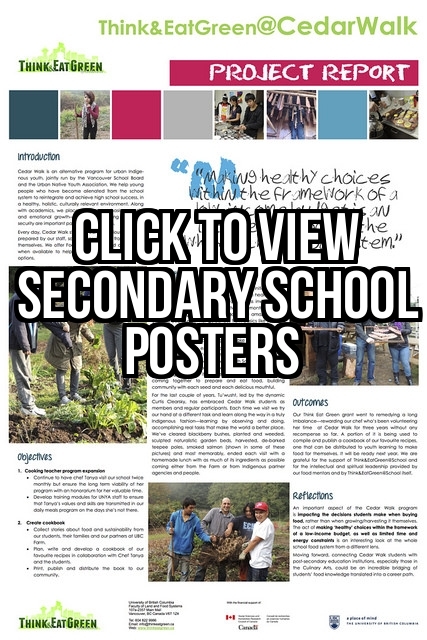 Posters from secondary school projects are available HERE. In 2017-2018, $25,000 was distributed among the 23 schools submitting applications. The “Think & Eat Green Schools” that received funds gathered twice each year to share their successes and challenges and receive support from the broader TEGS team.